Agents received tips about two locations where illegal immigrants from Mexico were being housed. The first call came in on Monday at about 1:30 pm. They responded to an apartment complex in Imperial Beach and requested entry into one of the units, according to San Diego Sector officials. Agents obtained consent for the search and found 22 Mexican nationals with no legal authorization to be in the country. The agents took the migrants into custody and carried out interviews with people living in neighboring apartments. Gathered intelligence led agents to an additional unit in the same apartment complex. A couple of hours later, the agents approached the unit and obtained permission to enter the property and conduct an immigration-related search. The search led to the discovery of 18 additional migrants from Mexico. 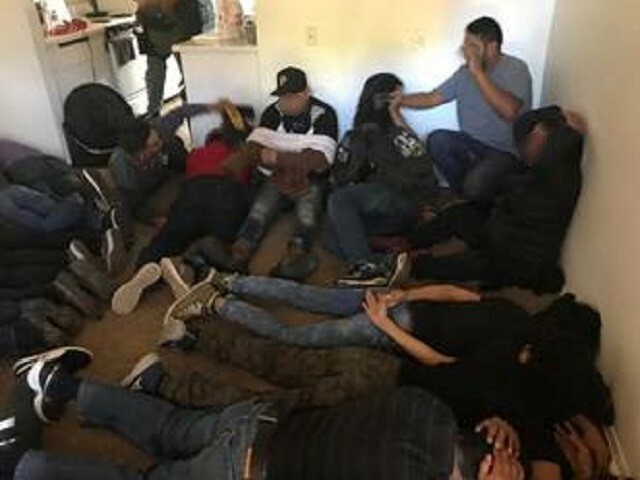 Border Patrol agents placed a total of 36 males and four females into custody from the two stash houses. The males included a 16-year-old minor and ranged in age up to 49. The females ranged from 24 to 46, officials stated. A background investigation revealed one had a criminal history that includes convictions for domestic violence and corporal injury to a spouse. This migrant could now face new federal charges for aggravated re-entry after removal.